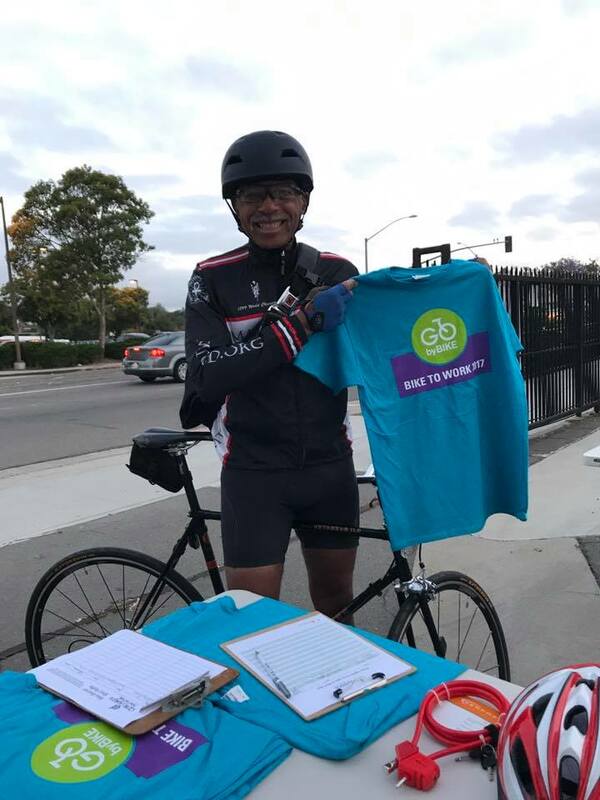 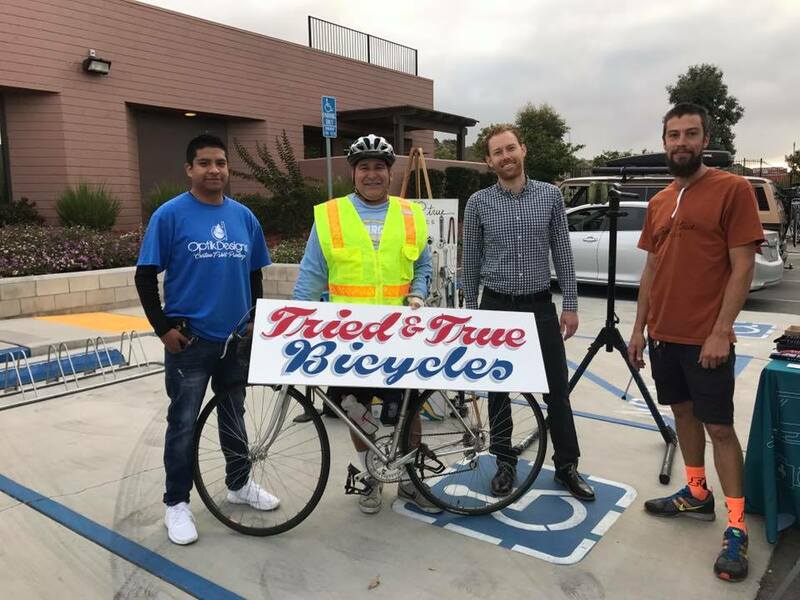 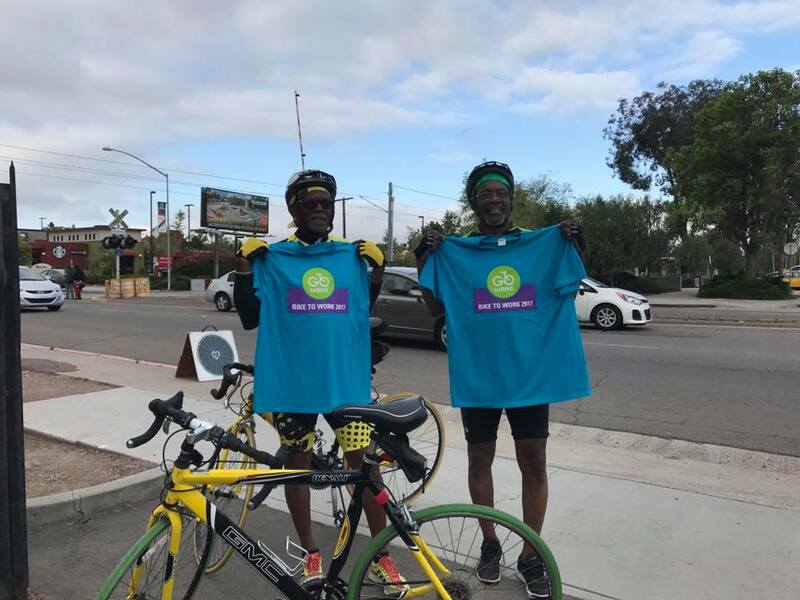 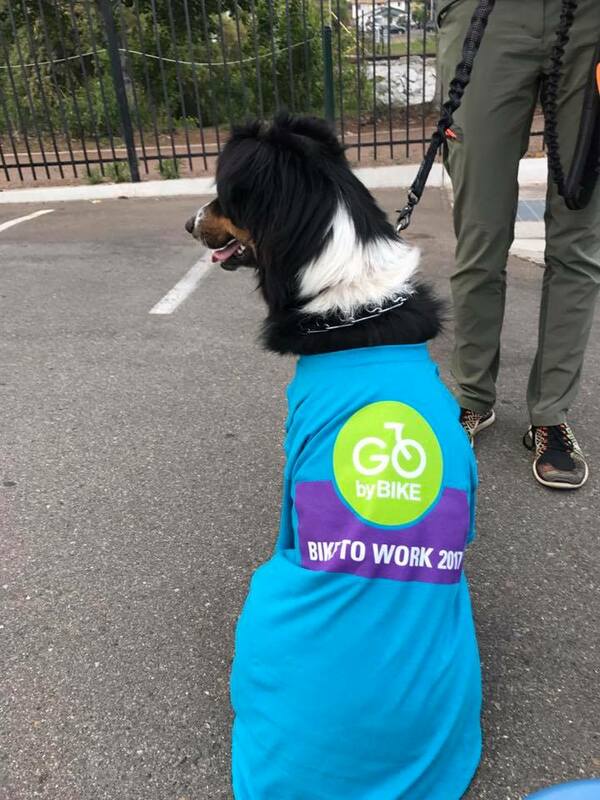 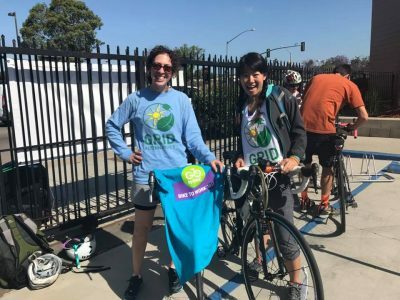 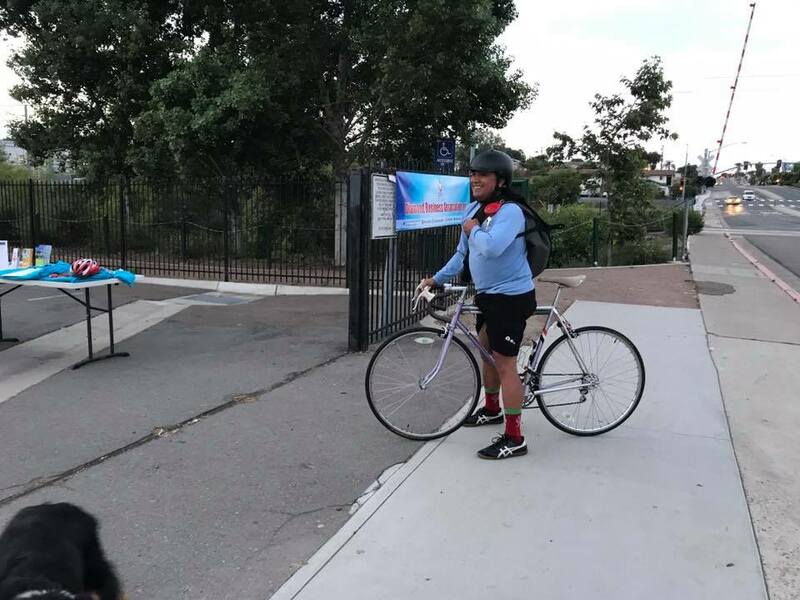 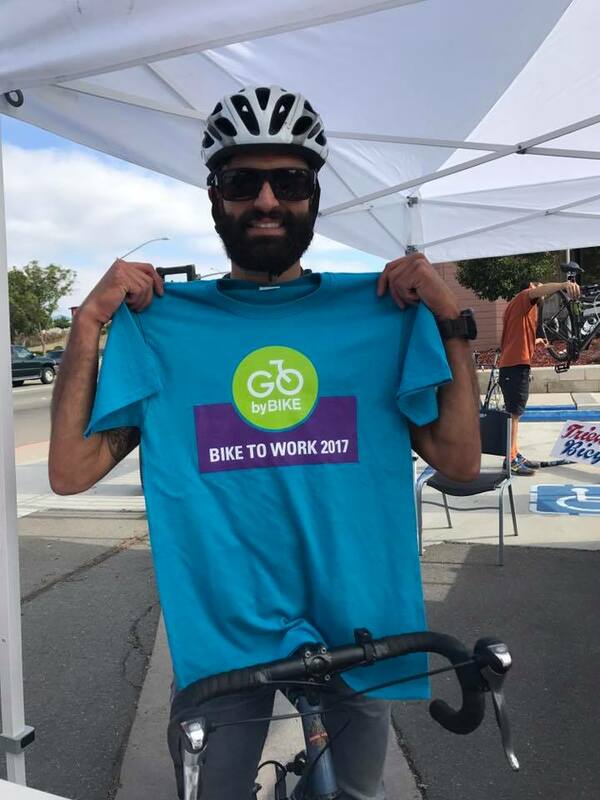 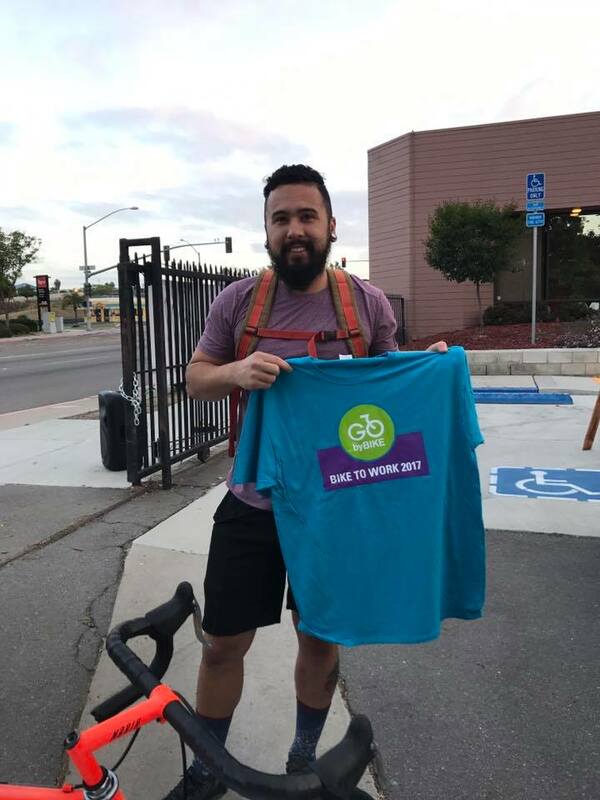 The Bike to Work pit stop at the Diamond Business Association in southeast San Diego had its first participant at 5:45 AM, 15 minutes before the official start. 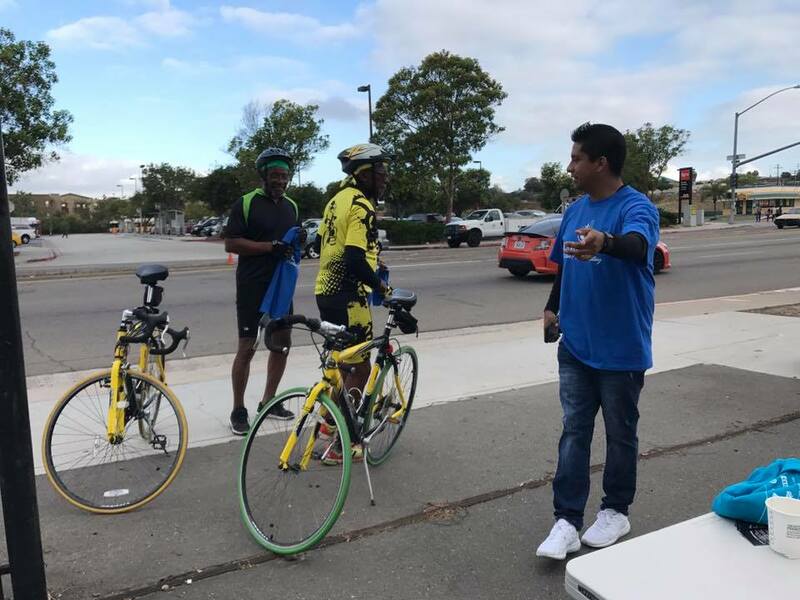 This was just the beginning as the pit stop saw over 30 bike riders stop by throughout the morning. 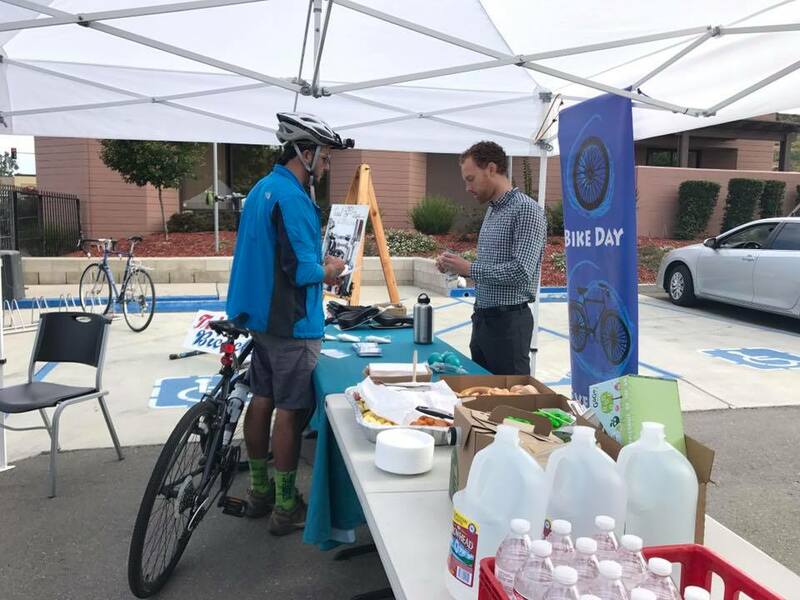 One of the only pit stops in the Southeast region had everything riders could have asked for including motivating music, delicious and nutritious snacks, encouragement from staff, giveaway goodies, and even a free bike tune up and safety check station. 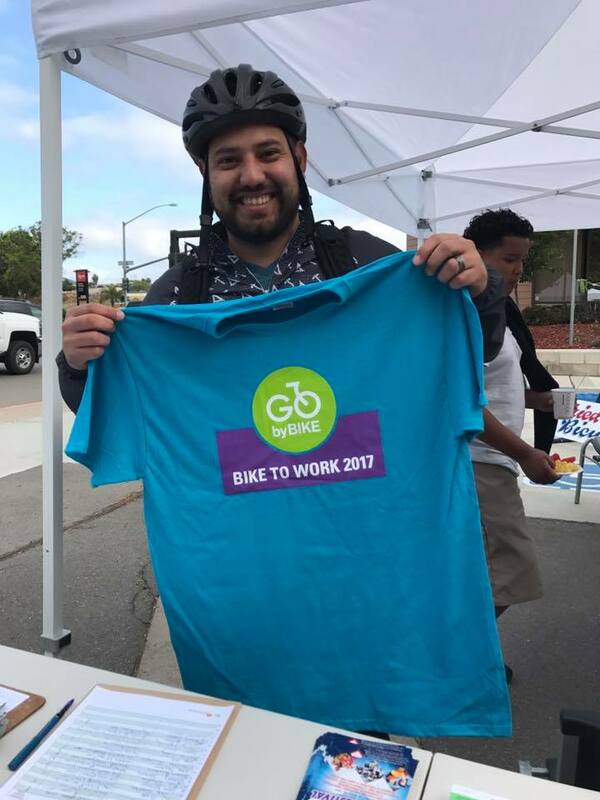 Live Well @ Work provided reusable bags, sunscreen, water bottles, and biking routes to healthy local businesses. 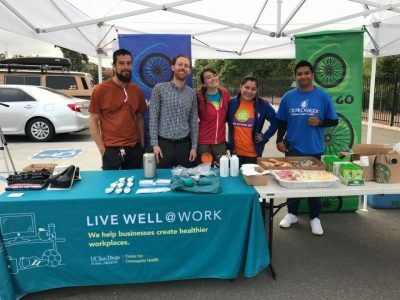 In addition to Live Well @ Work other local organizations and businesses provided goods and services. 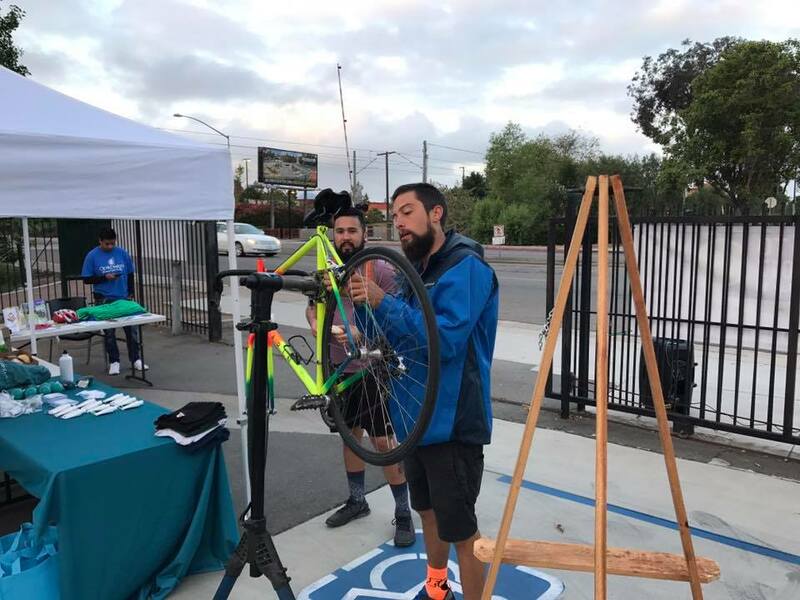 Tried & True Bicycles provided free tune ups and safety checks to make sure riders could continue on their way smoothly. 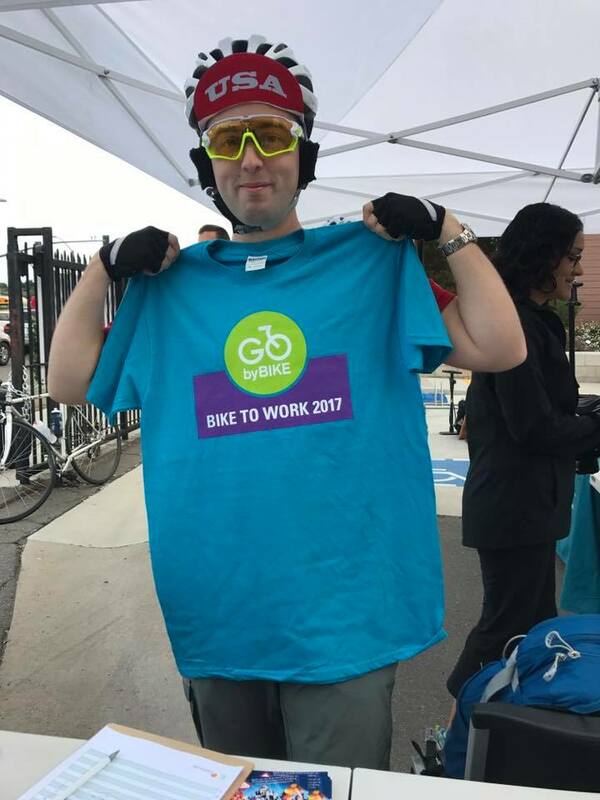 Optik Designs gave away free Bike Day Everyday t-Shirts. 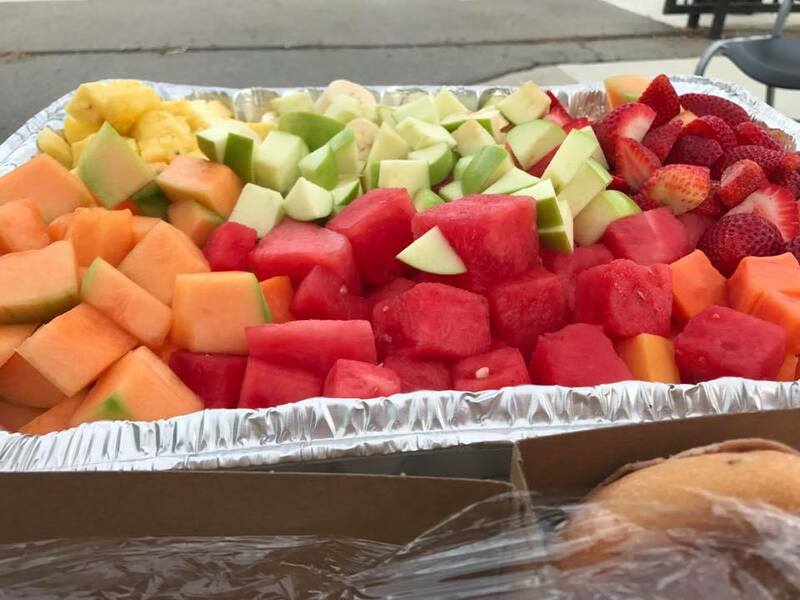 Be Fresh All Day provided healthy fuel for riders in the form of a delicious and fresh fruit salad. 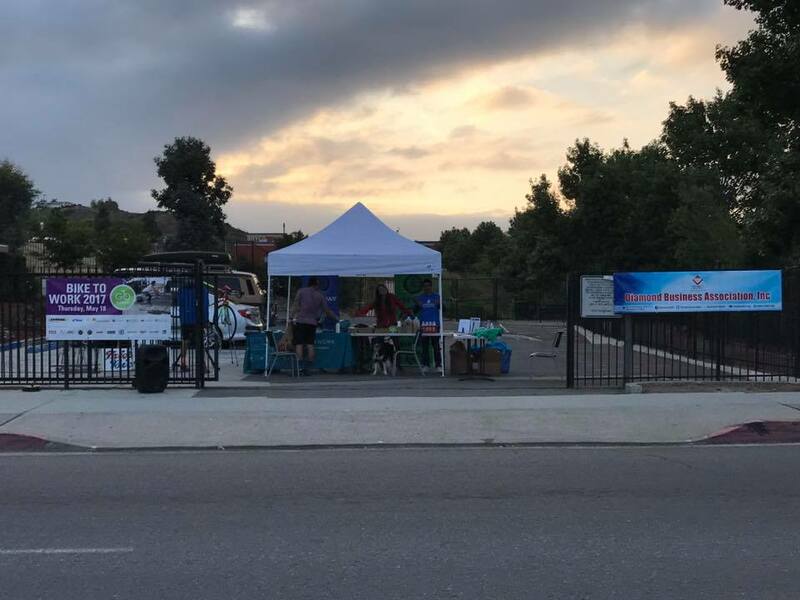 Last but not least the Diamond Business Association who hosted the event gave away bike helmets, locks, Bike to Work t-shirts, and other goodies. 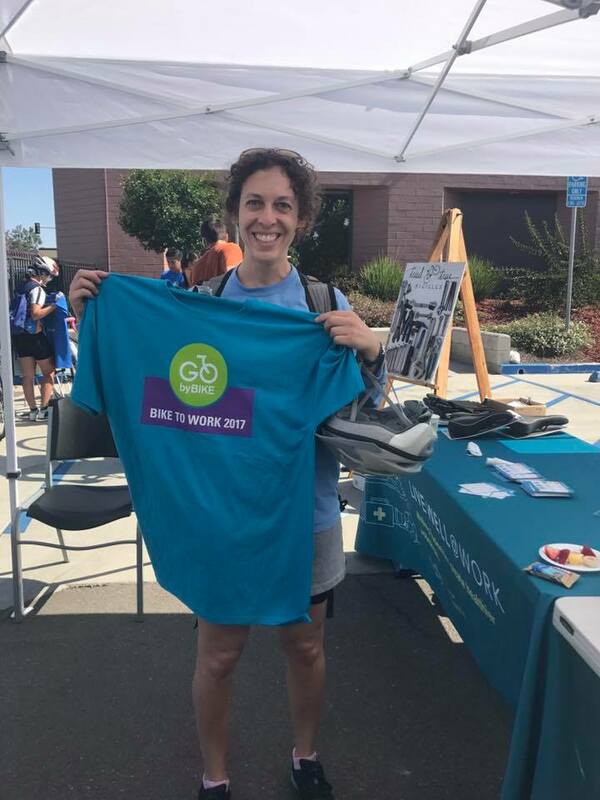 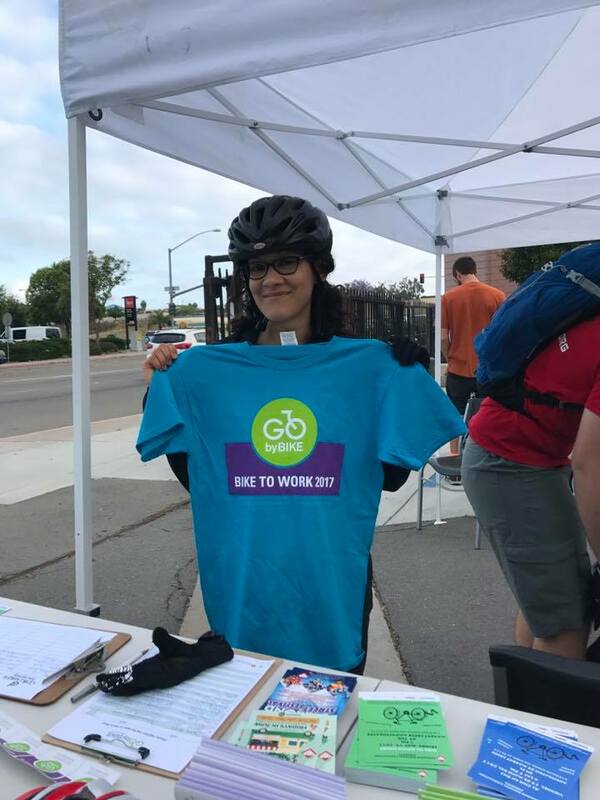 The event was incredibly successful, showing how much demand and support there is in southeast San Diego for active forms of transportation.